The summer solstice occurred earlier this week, which means that it is now officially summer! Although, it has definitely felt like summer already, as temperatures in California have reached record-highs over the past few weeks. We’re having a heat wave – but not just in the weather! The real estate market is also heating up, as agents, brokers, buyers, sellers, and investors are all hitting their stride during the busy season. With momentum in the market, it is important to capitalize on every opportunity. This month, Brewer Offord & Pedersen LLP provides essential real estate law tools and information to help you not only hit your stride – but also maintain it throughout the year! —Catch up on updates from the firm, including birthdays, vacations, speaking engagements, events, leadership roles, and more! We hope you enjoy reading the June edition of our newsletter! California has one of the highest populations of renters in the country, at 43% of residents. So, it should come as no surprise that, quite often, issues or conflicts arise between tenants and landlords that result in an unlawful detainer action – also known as an eviction. When a tenant violates the terms of their lease agreement – whether for failing to pay rent or for destroying the property – the landlord may remove the tenant after filing a lawsuit. on July 19th at 10:00am by clicking the button below! Your lawyer is…a robot?! Twenty years ago, that would’ve sounded like something straight out of a science fiction movie. Today? A robot lawyer doesn’t seem so far-fetched. Technology has revolutionized nearly every aspect of life, and the practice of law is no exception. However, while new technologies will always emerge, the acts of interpreting law, analyzing cases, providing legal advice, and fighting for clients are probably best left to the humans with law degrees! computing. 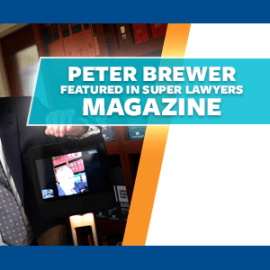 Brewer Offord & Pedersen LLP is on the forefront of technology, and we use several cutting-edge technologies to improve our client service and to deliver outstanding legal services. Not only does our firm utilize advanced technologies – we also advocate for technology in law firms. 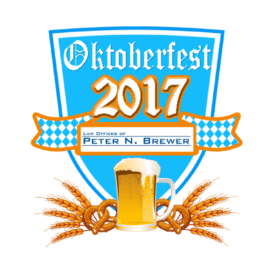 Peter N. Brewer is the 2017 chair of the Law Practice Management & Technology section of the State Bar of California. Clayton Dodds also sits on the LPMT executive committee, and he has spoken at the past two Legal Marketing Technology conferences. Read more about the state-of-the-art technology that Brewer Offord & Pedersen LLP utilizes in our day-to-day operations, including a telepresence robot! California is one of the most pet and dog-friendly states in the country. However, while we love the company of our furry friends, it can be very difficult for renters to find housing that allows for pets. Renters in search of living arrangements with their critter companions often pay hefty pet deposits, or have their rental applications rejected altogether simply because they have a pet. reasonable accommodation for a disability, regardless if they have a “no pets” policy. However, there is some confusion as to whether “assistance animals” or “emotional support animals” are the same as “service animals”, and thus require the same accommodation. Read Julia M. Wei’s most recent article, discussing the differences between “service animals” and “assistance animals”, and what responsibilities landlords have for each type. On May 31st, attorney Simon Offord appeared as a guest on The Brian Copeland Show on KGO 810. The popular radio talk show is hosted by Brian Copeland, an award-winning actor, comedian, author, and radio personality. causes”, that a landlord can claim when beginning the eviction process. There are numerous technicalities to the rule, including which rental units are covered by the ordinance. Ashlee D. Adkins discusses the new law more in-depth in her most recent blog article. the nuances of the case in his most recent blog article. In his capacity as chair of the Legal Marketing Association (LMA) Silicon Valley city group, Director of Marketing Clayton Dodds produced the 5th Annual LMA Silicon Valley In-House Counsel Summit on May 25th, featuring in-house counsel panelists from Tesla, PayPal, Hewlett Packard Enterprise, and ClearSlide.